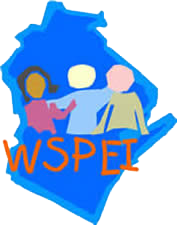 Increasing parent involvement of parents of children with disabilities is the focus of this program funded by the Wisconsin Department of Public Instruction. Through the Wisconsin Parent Educator Initiative, Family Engagement Liaisons, who themselves are parents of children with disabilities, are promoting positive partnerships between educators and parents of children and young adults with disabilities. School districts have an opportunity to access these services to provide a broader range of support for families. Services provided by the Family Engagement Liaisons are free to parents, educators, and school districts that are within CESA 8. Call Toll Free: 877.844.4925 for more information. Assist parents and educators to work together to promote effective partnerships through positive communication and collaboration and training for the purpose of improving education for children and young adults with disabilities. Connect families and educators with community, statewide, and national agencies and organizations that provide services to parents and educators of children with disabilities. Support the development of Advisory committees and other activities which build parent-school partnerships. Provide one-on-one assistance to parents and educators. ● Help disseminate information, be of support to other district parents, and to help set up parent groups within their district. ● They are the “front line” for the CESA 8 WSPEI program. ● Parents and educators are offered training, resources and networking opportunities to understand and increase involvement in the special education process. ● Provide information, agency contacts, books, pamphlets and tapes on issues regarding special education, parenting, and disabilities. If you would like to contact your District Family Engagement Liaison you can get their phone number by contacting your school district or Diana Lund-Zuegler at CESA 8 (1.800.831.6391). Provide information, agency contacts, books, pamphlets and tapes on issues regarding special education, parenting, and disabilities.